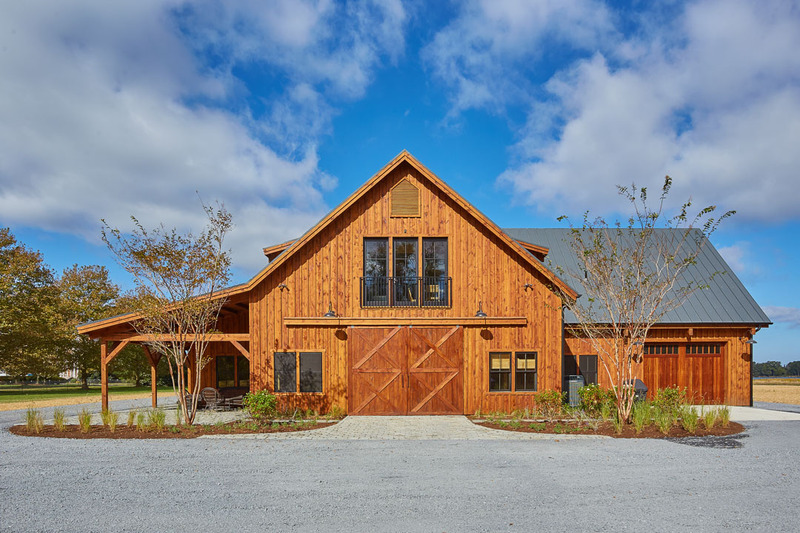 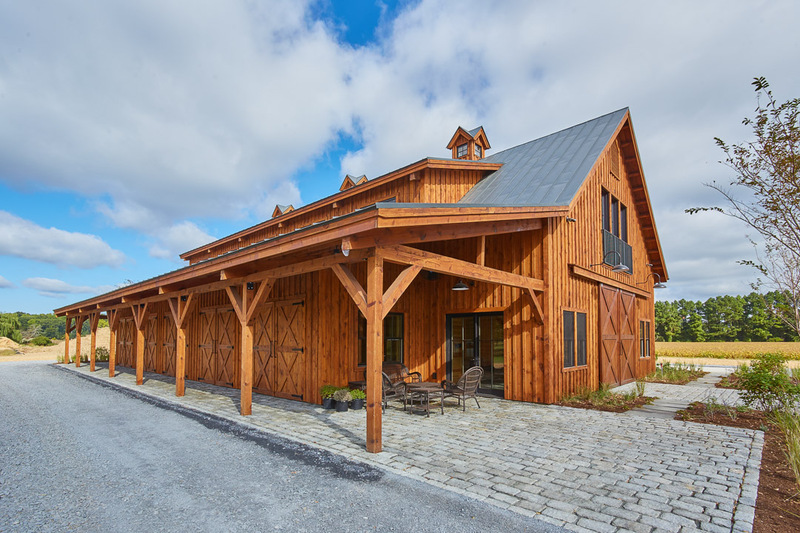 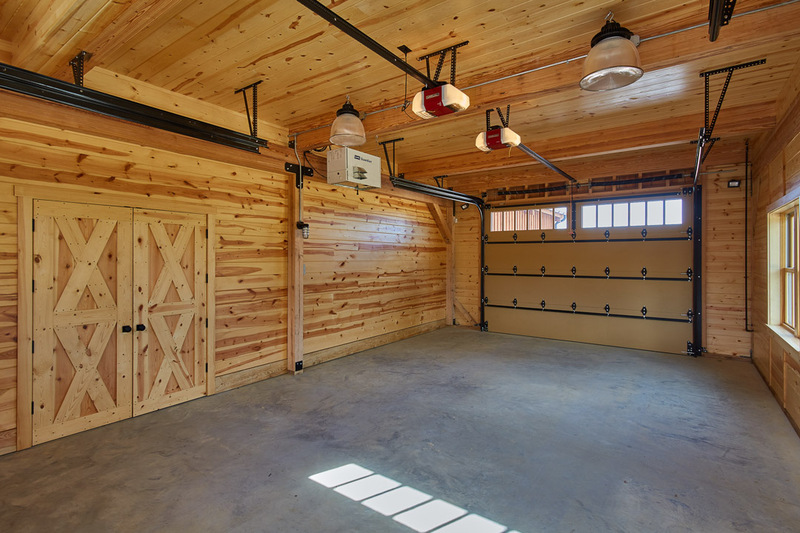 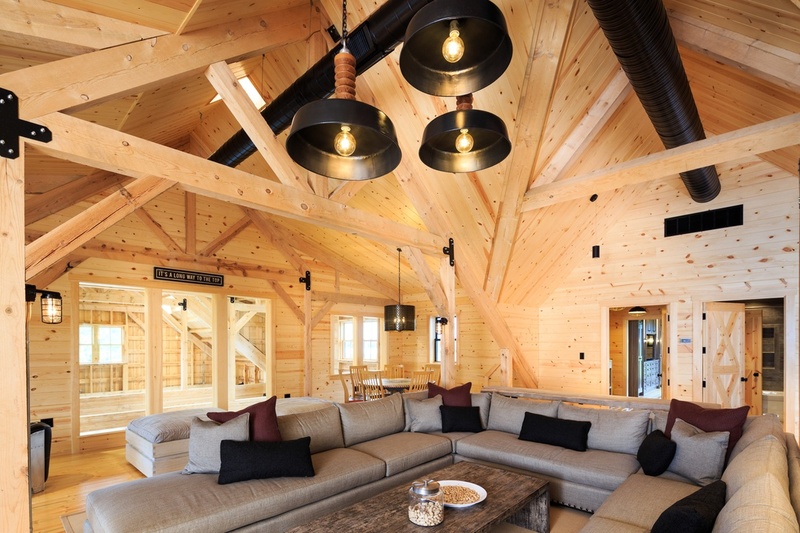 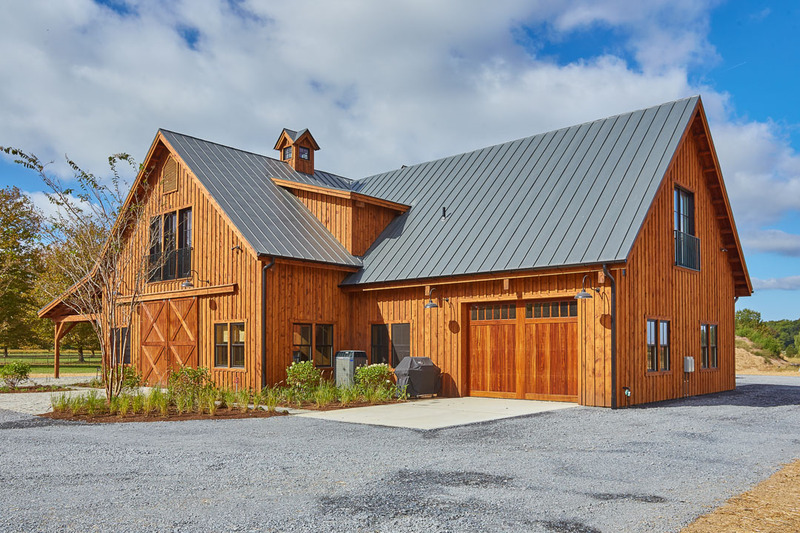 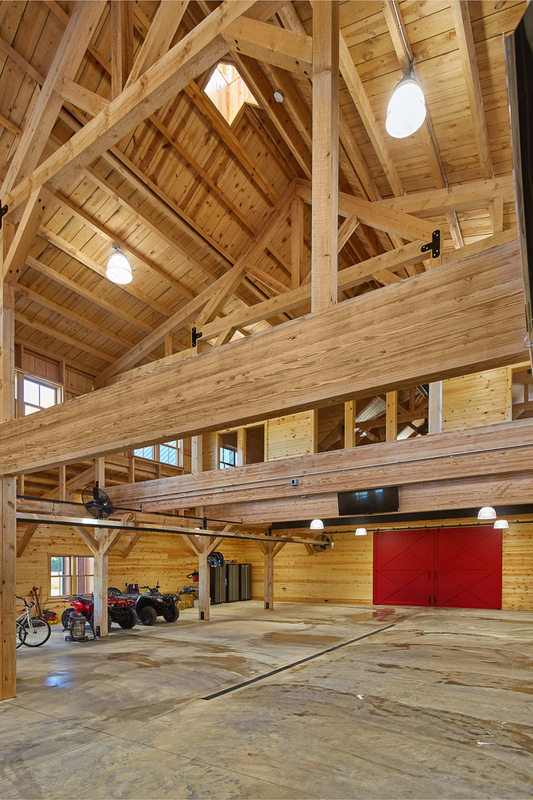 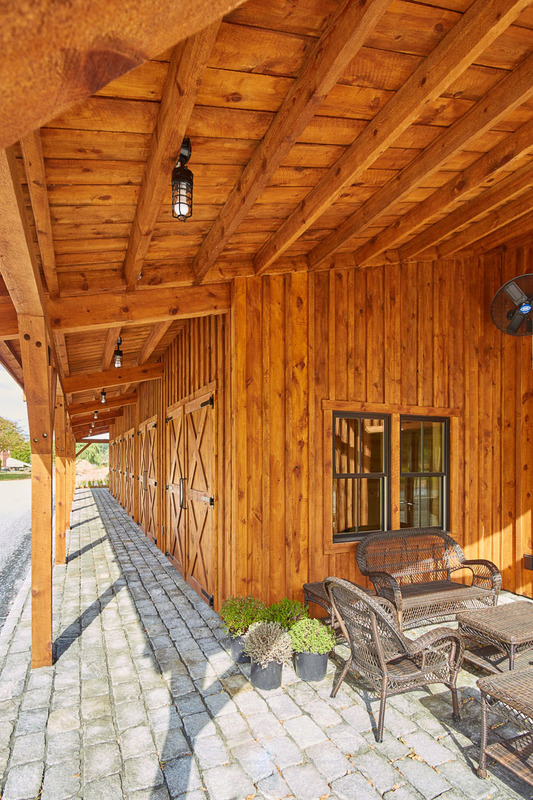 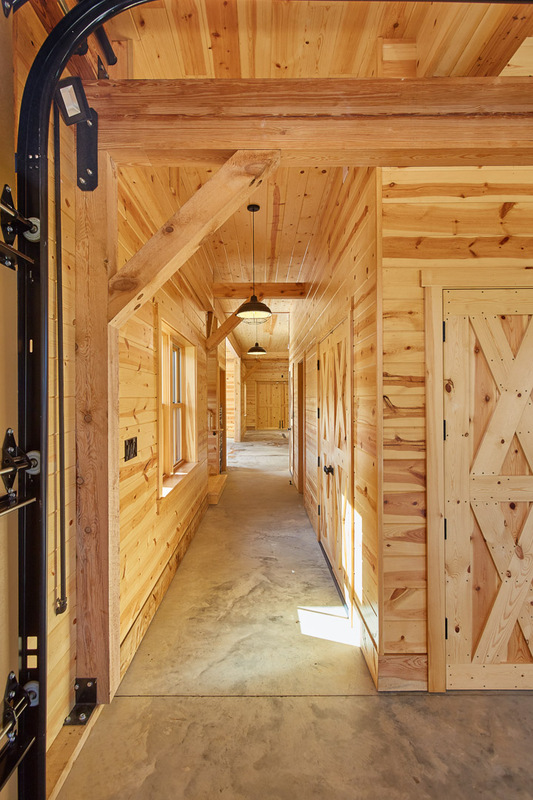 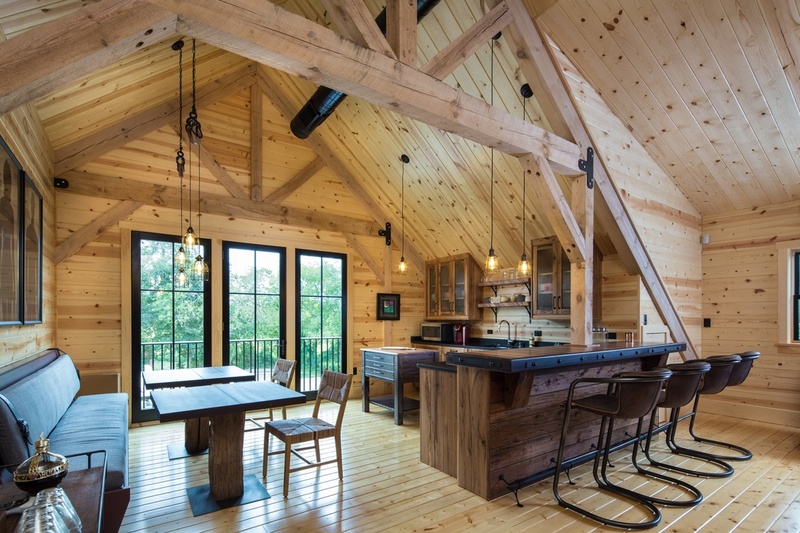 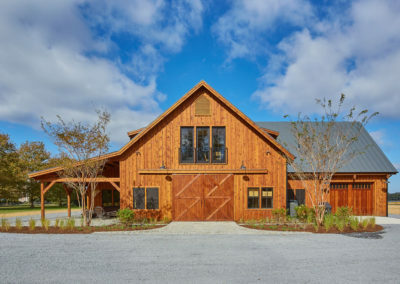 Built on an expansive estate, this barn houses the clients’ vehicles and man-toys below one-of-a-kind living spaces. 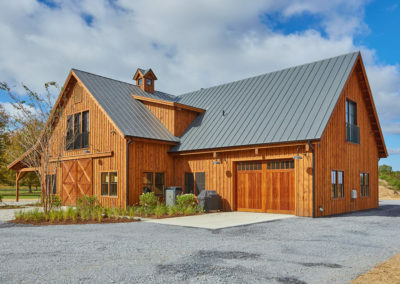 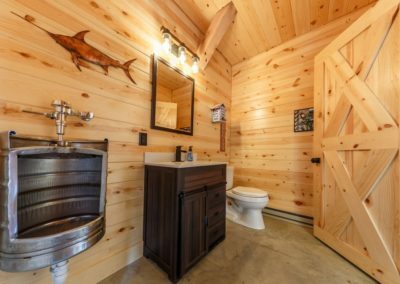 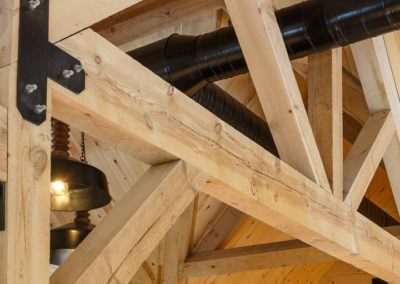 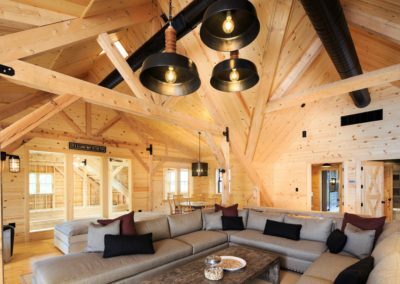 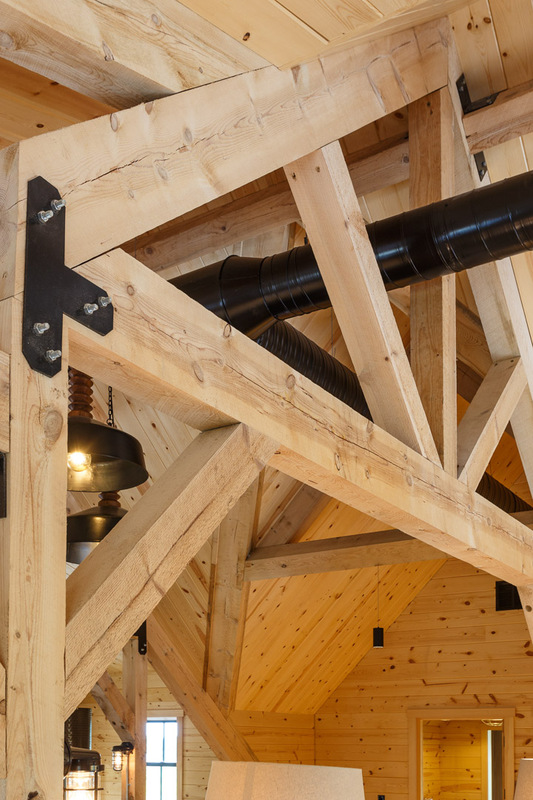 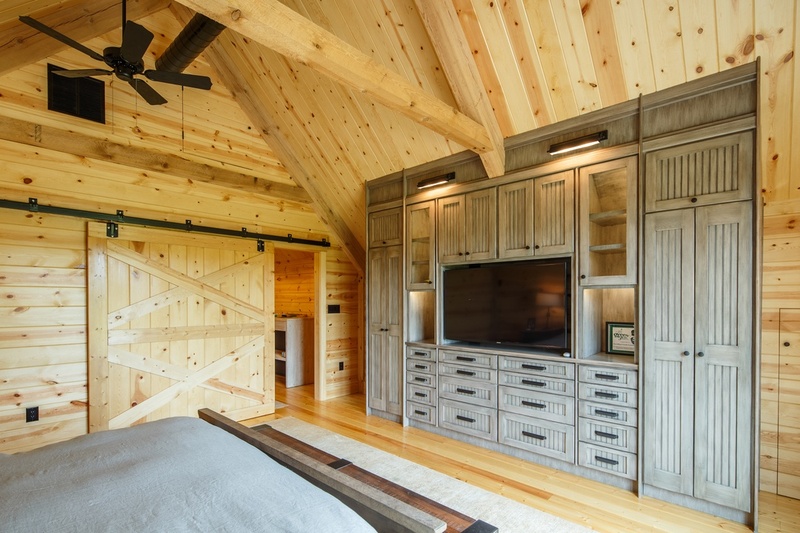 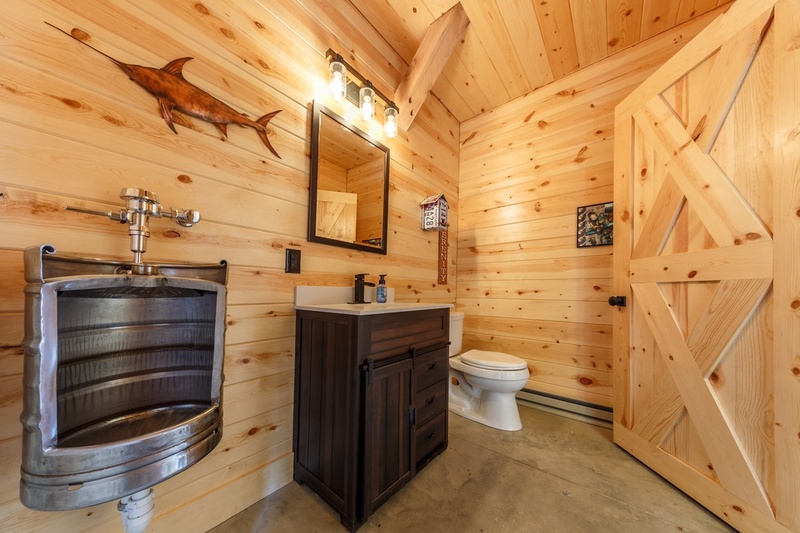 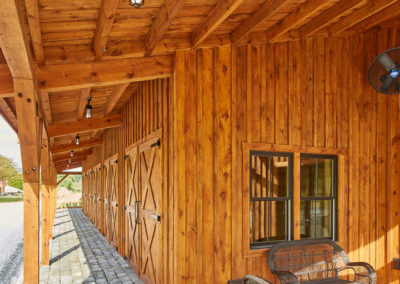 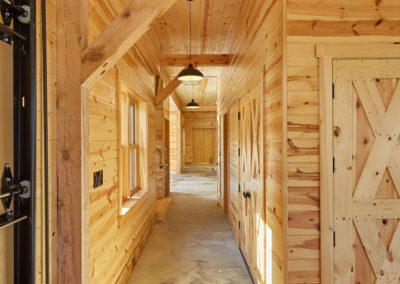 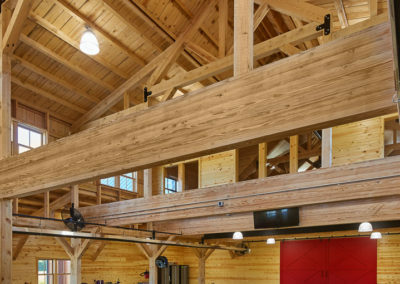 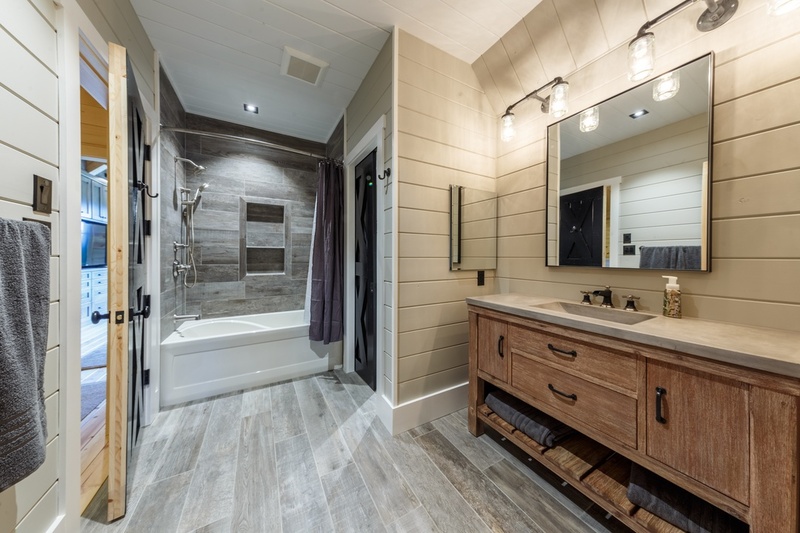 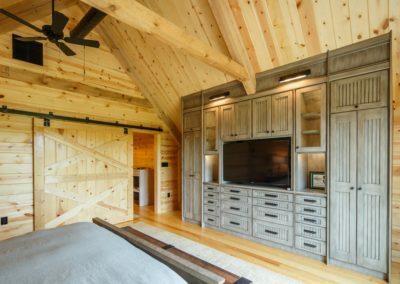 The post-and-beam structure is highly visible throughout, and all finished-area walls and ceilings are finished with ponderosa pine tongue-and-groove cladding, providing an authentic barn feel. 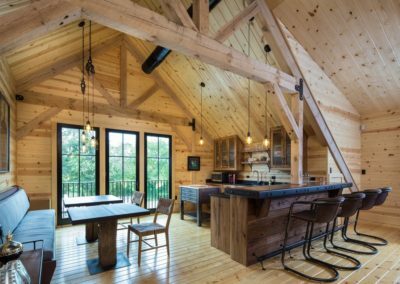 Its rustic facade masks the beautifully finished and furnished interior that provides exceptional comforts and conveniences. 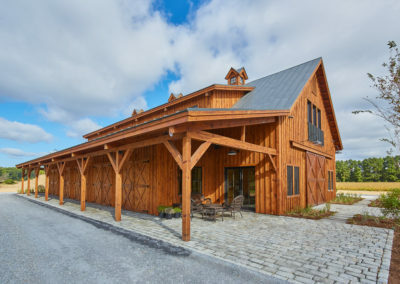 The barn serves as comfortable lodging while their main house is built, as well as a long-term accommodation for guests.